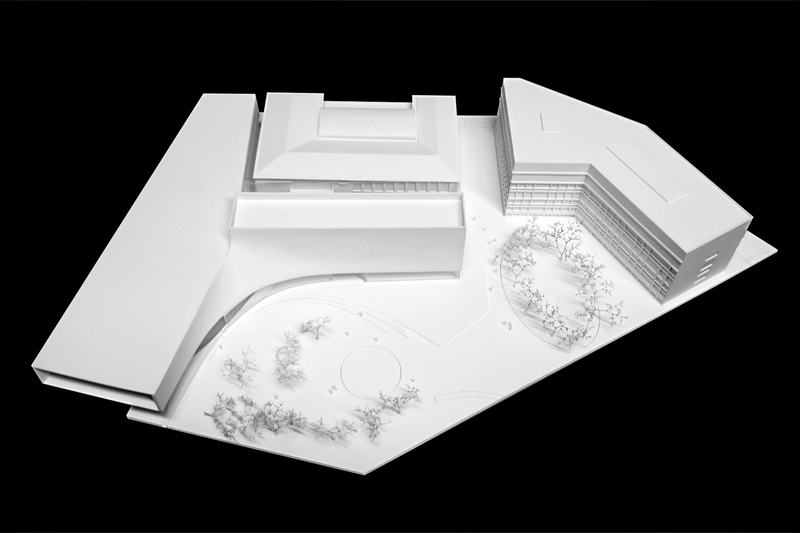 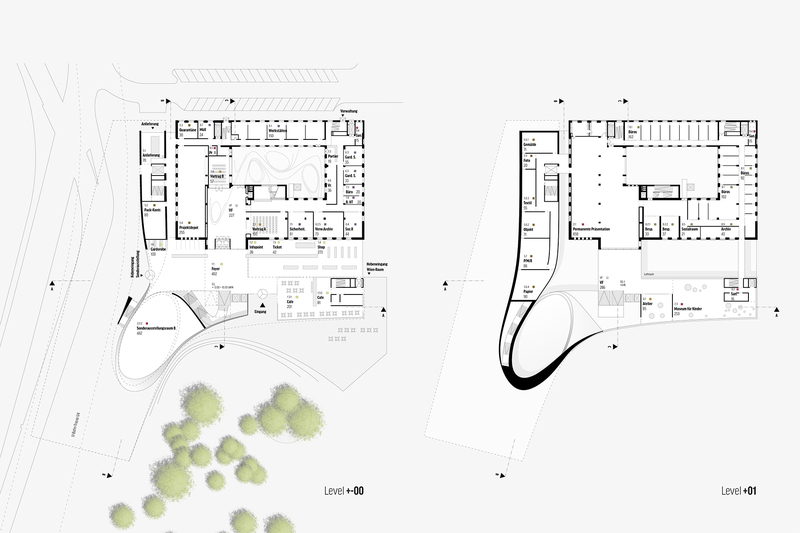 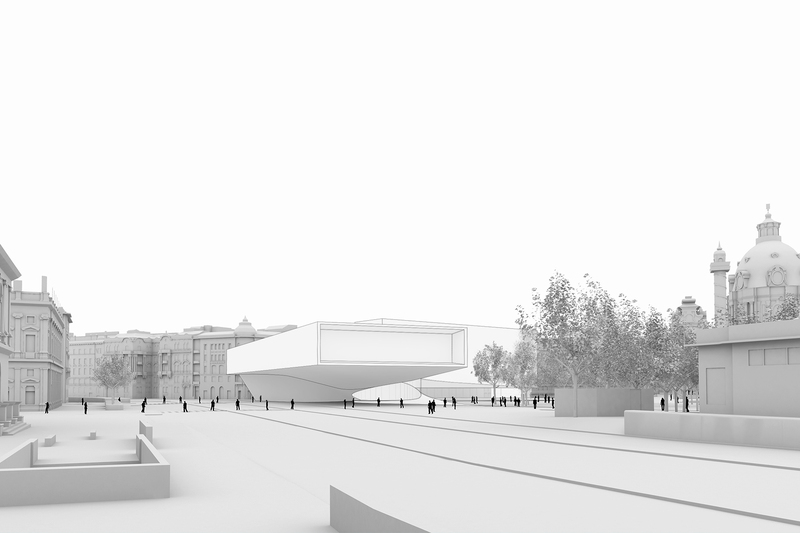 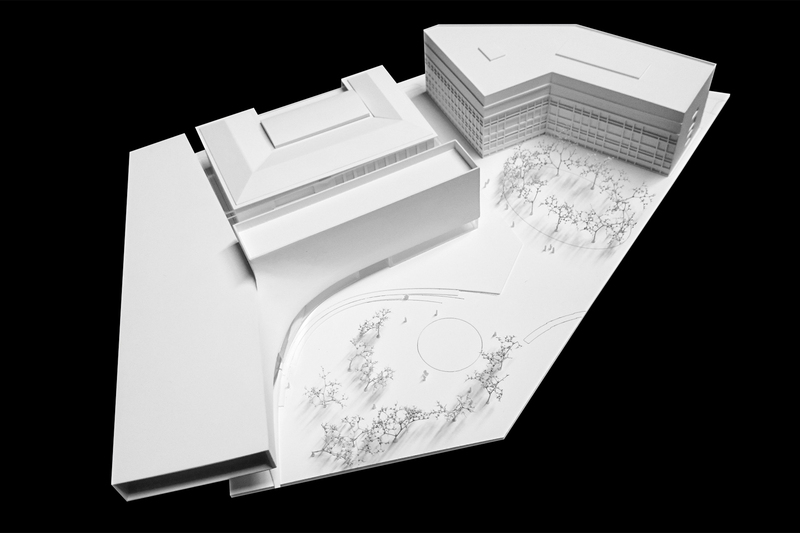 A movement in the longitudinal direction of the Karlsplatz, starting with the Otto-Wagner-pavilions, flows around the existing museum and is divided in two directions that generate volumetric formations: a horizontal and a vertical wing. 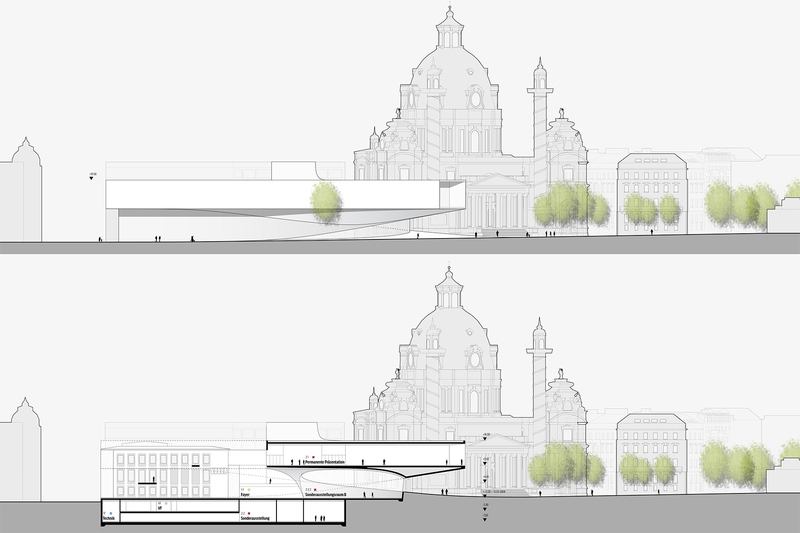 The horizontal „Museum wing“ includes the main exhibition and presents the museum with self-confidence in the heart of the city. 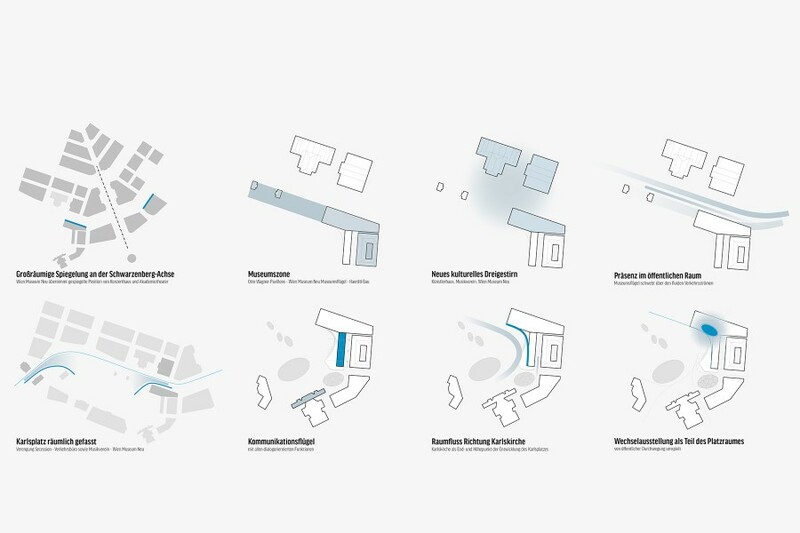 The volume floats and cantilevers above the space of the former Wiental-canal, which is now underground, but still drained by the river and the traffic flows of the underground lines. 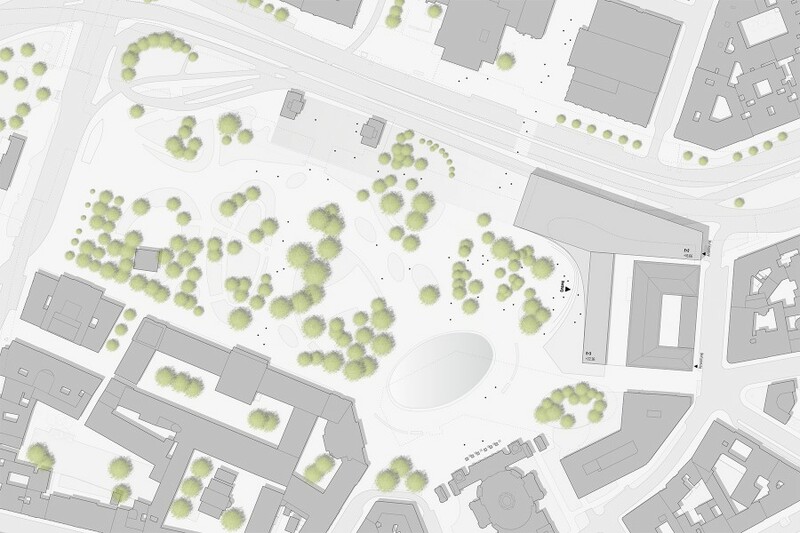 Through this conscious step the grown soil of the park and it´s historic trees remain unaffected. 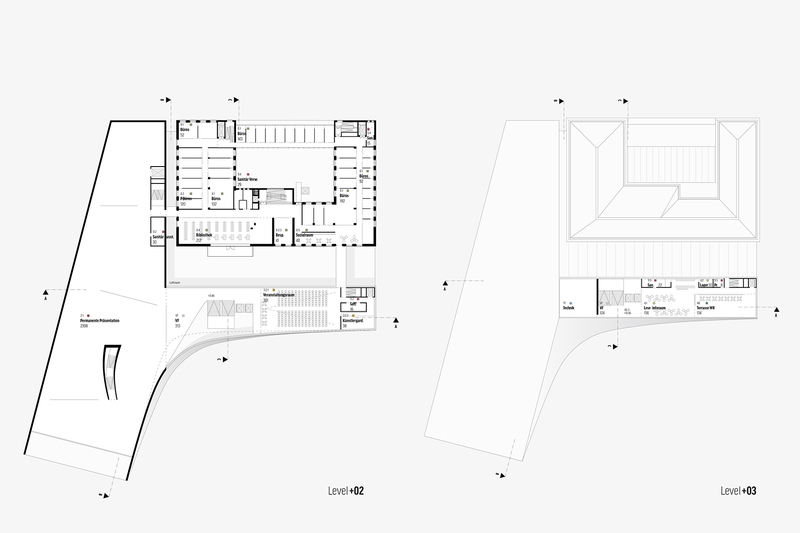 At the same time the building becomes part of a group of cultural institutions and forms, together wit the Musikverein and the Künstlerhaus, a clearly perceptible new cultural triumvirate. 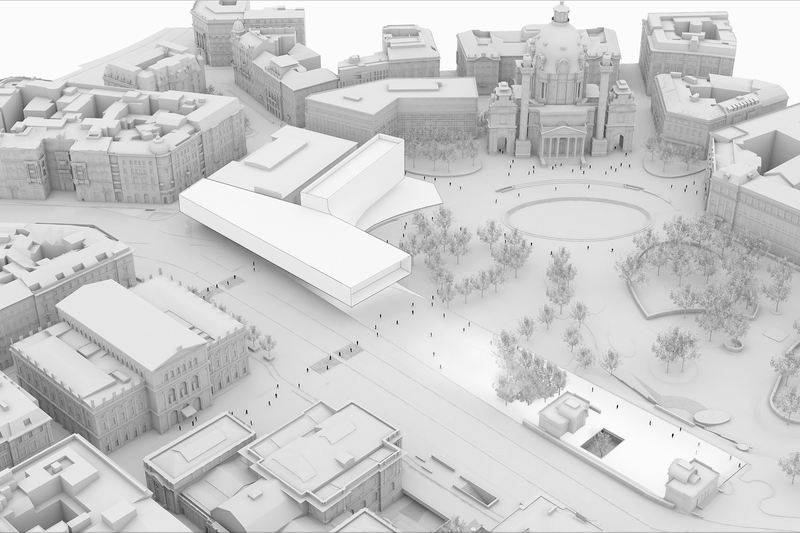 On a larger urban scale, the museum receives the value and location of the „Konzerthaus“ and „Akademitheater“ as a reflection about the axis of the Schwarzenberg square.